For the last few years I have struggled with my name. Not my actual name. I enjoy being Mars Lord. Easy to remember, to Google, to share. No. The name that I have struggled with is the name I chose for my doula work. The word doula, in the ancient Greek, means slave. It suited my dark humour to be called Slave Slave, that is Mammy Doula. The informal meaning is ‘a child’s word for their mother’, the formerly of Southern America meaning ‘a black woman engaged as a nurse to white children or as a servant to a white family’. Slave, slave. As I said, dark humour. For a long time now, it has not sat well with me. I no longer found it ‘funny’, but what to do? It had become the name on which my reputation was built. People who had used my services before knew to Google it to find me. On a practical note, I had a shed load of business cards, a website, Twitter, Facebook and Instagram accounts in that name. My role as a doula is changing. I find myself becoming more of an activist, not just for birth but for black birth. It has become harder and harder to smile nicely and accept things as the way they are. I watch as year on year awards are given to white doulas whilst doulas of colour don’t make the nomination form. I belong to a doula organisation that points to me when asked where their doulas of colour are. Please don’t misunderstand me. I’m not looking for awards. Nor am I looking to be like or treated as a white doula. I am very sure of the who that I am. I adore my colour, my sense of self and am proud of my work as a doula. I do not wish to be a white doula, I wish to be Mars Lord. This means that the polite, silent me needs to go through a very public change. Mammy has to be dropped. I am no house servant, unable to protest injustice whilst keeping things nice. Mars is the god of fire. The fire within me is protesting the disparities in the maternal and neonatal death rates. The fire within me is speaking up and encouraging birthworkers of colour to rise. Does this mean that I dislike or want to exclude the white birthworkers? No. Not at all. What I want is for the voices of the BME birthworkers to be heard, for them to work in safety. For women of colour and their babies to have a better chance at life. What I want is to see more doulas of colour. This ember was glowing inside me for a long time until a good friend suggested that I put some oxygen on it and let it burn. And so Abuela Doulas were born. To complete the change, I needed to change my name, but what to? 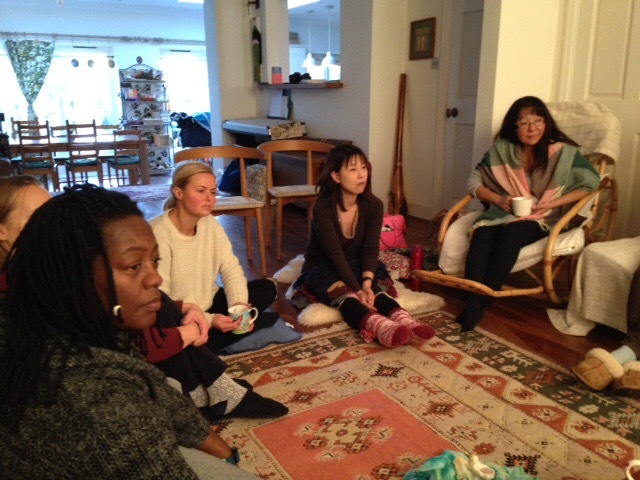 I mentor doulas and listen as they brainstorm their choice of doula name. I know how tricky it can be to nail down the name that speaks to who you are. And then peace came. It’s not MammyDoula that people remember, it’s Mars Lord. A simple name. My name. Good for you Mars Lord – proud of you . Well said …. ‘Amen’ I exclaim amen meaning as said so done or simply the ‘end’ Mars Lord .. Perfect I absolutely love your name and it’s an ideal activists name, so powerful!